GEM National Team Member? Log in for the new member's experience. Women entrepreneurs make an important contribution to the development of the world economy, particularly in low- and middle-income countries. 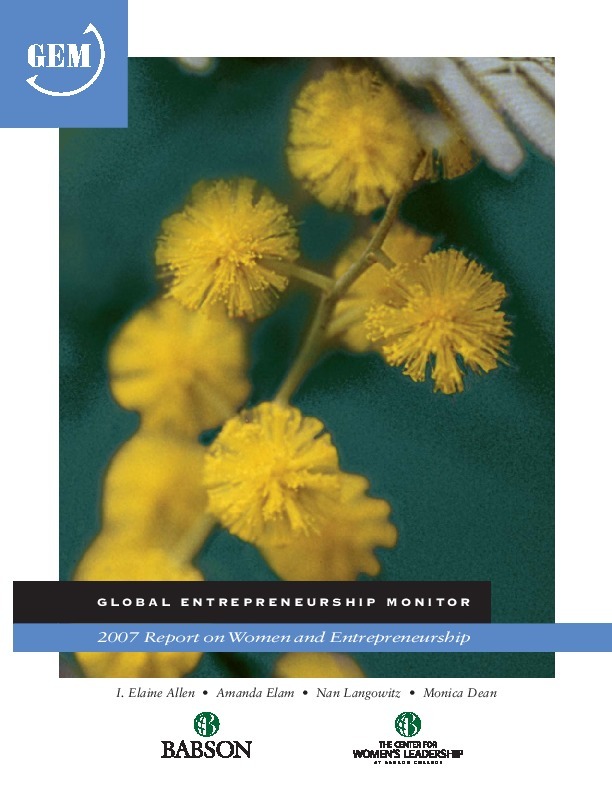 The Global Entrepreneurship Monitor (GEM) 2007 Report on Women and Entrepreneurship is the fourth in a series of reports undertaken to provide a comprehensive and up-to-date study of the role played by women involved in entrepreneurial activity across the world economy.